It’s time for the next Fantastical Food Fight, hosted by Sarah at a Fantastical Sharing of Recipes! This month’s theme is Fast Food Favorites. So what to make? I’ve already remade many of my favorite fast food picks – Chicken Nuggets (like, 3 ways), French Fries (again a bunch of ways), Zuppa Toscana, Tacos, Queso, Quesadillas -- the list goes on! Then I remembered Pizza Hut Pan Pizza. 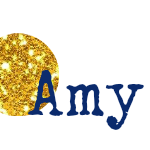 It was one of the recipes I shared during my first couple months of blogging. I had reimagined the pizza to include whole wheat flour and turkey pepperoni. I had a picky toddler and a newborn at the time, so I was trying to get a toddler to eat healthy foods while trying to lose my baby weight. The pizza was delicious and I made it that way for quite some time, but then I started noticing that any leftovers would just sit in the fridge. The pizza was great fresh out of the oven, but rather dry as leftovers. Then my boys just kinda picked at it instead of eating and asked for takeout instead. So, this is my family approved version of personal pan pizzas. 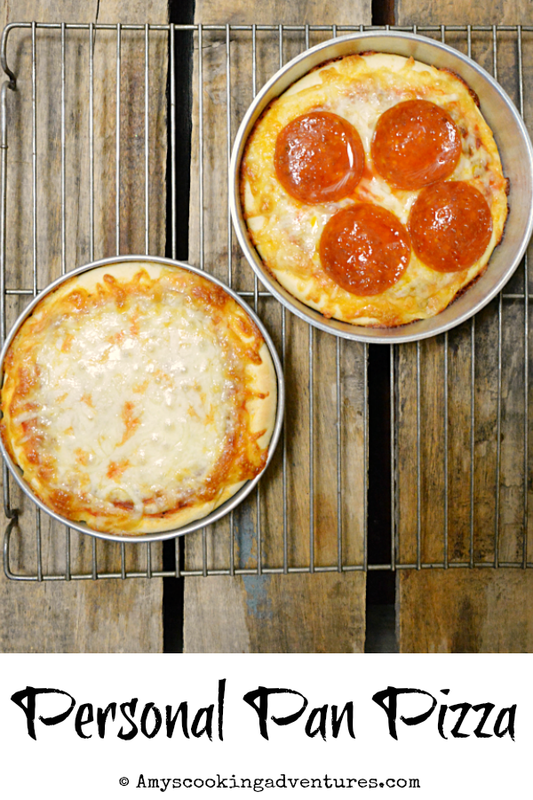 This can, of course, be baked up as larger pan pizzas as well, so I’ve added instructions for those as well. Don’t miss the link up below the recipe to see what everyone else whipped up this month! Place the water, yeast, and sugar in the bowl of a stand mixer. Stir and leave until foamy. Add in the milk, oil, salt, and 1 cup flour. Mix and until smooth. Slowly add in the remaining flour, switching to the dough hook as the dough starts to come together. Knead with the dough hook until the dough is smooth and elastic. To prepare pans, add just enough oil to coat the bottom of each pan. This recipe will make enough dough for three 8-inch pizzas, or two 4-inch pizzas and one 12-inch pizza. 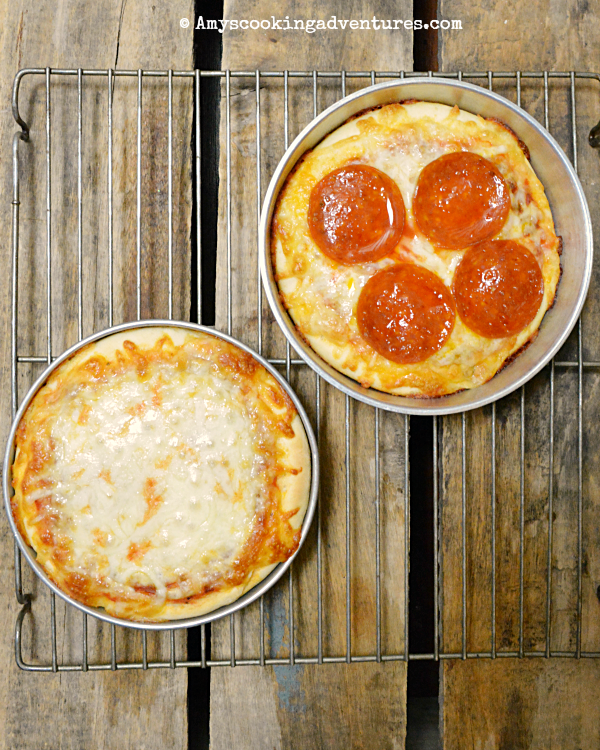 For personal pan pizzas, prepare 4-inch cake pans. Divide dough into 4-ounce portions. Roll each portion to fit the bottom of the pans. Place the dough rounds into the bottom of the pans. Cover loosely with a kitchen towel and allow to rest for 20 minutes. Meanwhile, preheat the oven to 450 degrees F and stir together the sauce ingredients. Add sauce and toppings to the pizzas. Bake in the preheated oven for 15-20 minutes or until the cheese is melted and crust is cooked (you may need to increase cooking time for larger pizzas). Let the pizza rest for 5 minutes. Then, remove from pans and enjoy. Personal Pan Pizza #FantasticalFoodFight A Pizza Hut favorite at home! Place the water, yeast, and sugar in the bowl of a stand mixer. Stir and leave until foamy.Add in the milk, oil, salt, and 1 cup flour. Mix and until smooth. Slowly add in the remaining flour, switching to the dough hook as the dough starts to come together. Knead with the dough hook until the dough is smooth and elastic. To prepare pans, add just enough oil to coat the bottom of each pan. This recipe will make enough dough for three 8-inch pizzas, or two 4-inch pizzas and one 12-inch pizza.For personal pan pizzas, prepare 4-inch cake pans. Divide dough into 4-ounce portions. Roll each portion to fit the bottom of the pans. Place the dough rounds into the bottom of the pans. Cover loosely with a kitchen towel and allow to rest for 20 minutes.Meanwhile, preheat the oven to 450 degrees F and stir together the sauce ingredients.Add sauce and toppings to the pizzas. Bake in the preheated oven for 15-20 minutes or until the cheese is melted and crust is cooked (you may need to increase cooking time for larger pizzas).Let the pizza rest for 5 minutes. Then, remove from pans and enjoy. Not surprised at your choice....you are the pizza queen!! This definitely has me putting 4" pans on my wish list!! I would make these for lunches like crazy- yum! I actually have some 4 inch and 6 inch pans! I can't wait to try this! Love it! I used to get coupons for PH personal pan pizza in elementary school for Book It! and they always seemed so cool to me as a kid. My own pizza?! Thanks for joining in, as always!